*This post may contain affiliate links, please see my disclosure for more. you can't be a professional blogger unless you look and act like one, first. Fake it until you make it, baby. The first step to being a professional blogger is appearing as one. How do you do this? 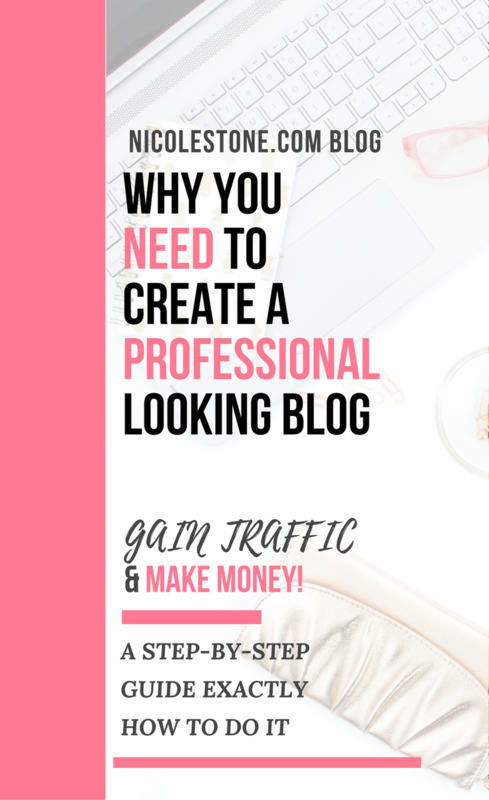 By making your blog look like a professional website. It's easy to go the cheap route, but it will cost you in the long run. It will cost you both time and effort and will likely result in you giving up altogether. For example, think about the restaurant business. You see an advertisement for a new restaurant in town, the title looks good, the description of the menu sounds better. BUT, when you get there, it's ugly, unorganized, the service is poor, and the place was anything but professional. You probably aren't going back. You also won't be recommending it to any friends and family or returning for any promotional or happy hour deals. This reaction, of course, ends up being the same for nearly every other person visiting the business. The end result? An abandoned business within 6 months. Now compare that to the best restaurant you have ever been to. I'm guessing it wasn't cheap, was it? It probably has a beautiful atmosphere, high-quality food, great service, and is well managed. It looked professional. It's also making money. Well, the same goes for your blog. If you are going to put in the time and effort to make quality content, market your site, and build products, why not do it right? Do it right so that you can make money, build an audience, and reap the benefits of owning your very own business. Most importantly, invest in your business so you will start seeing results and won't abandon it right away. Making your blog look like a professional website starts on the backend. Start improving your site by investing in a professional website builder and theme. That's your virtual "storefront". Having a professional website helps bring in readers, keep readers, drive traffic, and convert sales. Professional can have all sorts of meanings. Your blog can have nearly any theme or style you want. Professional blogs can have a minimalistic look OR they can have a more complex build. However, they all have one thing in common: they look like the owner knew what they were doing. I know, it's more difficult than it sounds, but it doesn't have to be. Especially with the resources I provide you. So how can you get a beautiful website when you have no idea what you are doing? By avoiding blogging with Blogger, Wordpress.com, or any other free service. There are two options I recommend for serious bloggers: becoming self-hosted with Bluehost (aka using Wordpress.org - aka the real Wordpress) or building a site on Squarespace. Note that self-hosting (aka Bluehost-Wordpress) is the most common. You can do this for as low as $3.95 a month (or $4.95 if you don't want to commit as long). Use my link HERE to sign up. I also walk you through it in my post: How to Start a Money Making Blog. It's cheap, fast, easy, and incredibly simple. Once you have Bluehost, Wordpress.org (the real Wordpress) becomes free. Why is being self-hosted with Wordpress important? You have unlimited theme options (to a have professional, organized blog). You pretty much will have a better blog, with better potential, that will look better, and can make more money, which is better. Do you see why Wordpress.org is "better" than any free alternative? Remember, I also recommend Squarespace. It offers you freedom as well, won't touch your profits, and looks 100% professional. However, you don't have full control of your site. It also costs a bit more per month (base price) and if you want a really unique site, you'll be paying more. Both options will work well. I generally recommend true blogging platforms to be built on Wordpress (so you can showcase your posts better) and more business oriented sites to be built on Squarespace. That's personal opinion however. Make the investment in one or the other. Remember, 3.95$ a month is the cost of a candy bar at a convenience store. I literally walk you through the entire process right here. It won't take you more then 10 minutes. By doing that, you are already on your way to looking so much more professional. The next step is designing your site. You want it to look polished, organized, and look like you know what you are doing (just as we previously talked about). You can go the cheap route and pick a free one, if you know how to build sites. This goes for both builders. However, if you are like me, it doesn't turn out well. I'm someone who wastes weeks and weeks designing sites that look... mediocre at best. Time is money. So I finally decided that since I had a few extra dollars, I'll buy a premium one. I purchased mine through Station Seven. I seen another blogger's site and fell in love with the simplicity. The site was clean, optimized, and professional. I loved it. So I went straight to Station Seven and signed up. The best part? They have themes for Wordpress and Squarespace. It's a perfect shop for someone who wants all of their blogs looking like professional websites. They put together the entire branding kit for you and give you a step-by-step video tutorial on how to set it up. If you don't have the time, or patience for that, they can setup the demo for you as well. There are other alternates, too. Flothemes is a personal favorite of mine. Their themes are only Wordpress, but they have gorgeous Wordpress sites I have ever seen. You can check them out here. Almost every theme developer will install and setup the demo. If you should do it or not just depends how fast and easily you want the theme up and running. You can learn more about Station Seven by clicking here. Since purchasing a premium theme, I have gained more traffic and made more money (my primary method is through affiliate marketing which you can read about here) than I ever had before. Most importantly, I'm PROUD of my site. These are two pages you need to have... in your navigation bar. Those are your "about" and "contact" page. There is nothing more annoying that searching for a way to contact someone, only to find nothing or an email. It's almost like the person doesn't want to be contacted at all. This both annoys me and worries me. I usually never return to those sites. Contact pages are much more user-friendly. They also provide an easy way to collect emails and encourage audience engagement. These are both critical when trying to make profits from a business, which every blogger will eventually want to do. The about page gives your audience a chance to relate to you. The more your audience can relate, generally the more engaged they become. They may start following you on social media, bookmark your web page, and eventually buy whatever it is that you are trying to sell. Don't skimp out on the "about" section. The next thing I recommend doing is adding icons and social share bars. I get my floating social icons through addthis.com and I get my "in-page" icons through Shareaholic. Social Warfare - I've heard INCREDIBLE things. By adding these links, it not only looks like "you know what you are doing" but also helps your audience easily share your content. More sharing means more traffic, which means more money. Use it. Another great addition isa newsletter or "opt-in". This is used to capture email subscribers. Most of the time, these subscribers end up being your most loyal followers and can really convert into income. Having a newsletter also helps you look like you know what you are doing. There are numerous options for adding a newsletter. Mailchimp: Free for beginners, not "blogger" friendly. Convertkit - Most popular among bloggers. Free trial than $30 a month. Mailerlite: Free for beginners. 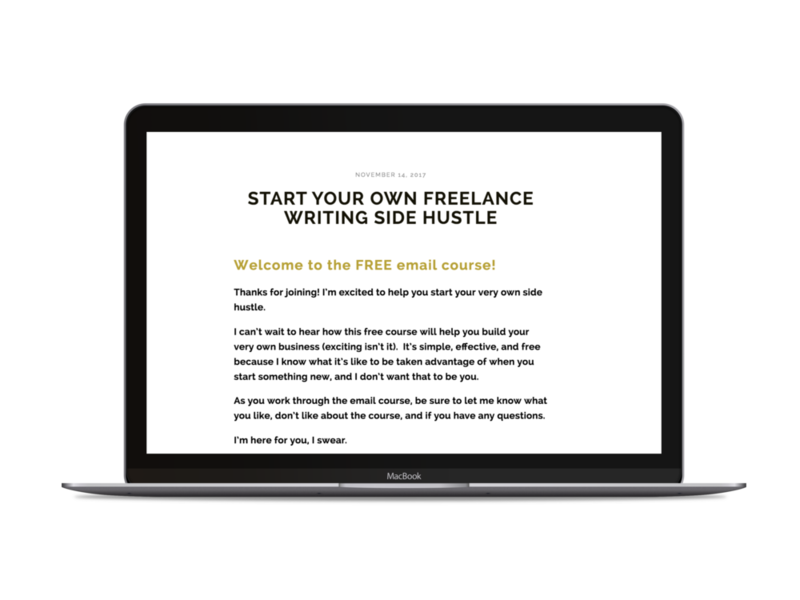 Easy design, a few limitations in comparison to convertkit. Aweber: A popular option (never used it before). And the list can go on and on . If you use a different service let me know in the comments below! The most important part of a blog (when starting) is its brand and design. Yes content too, but we are assuming you like writing, know how to write, and have established what quality content is. Don't forget what I said about "investing in your business". It's important. It doesn't mean you have to spend hundreds of dollars on courses, add-ons, or coaching services. It means having a high-quality site ("storefront) that makes you look serious. Find free and cheap resources (like the long list of them I have that you can find here. - most don't cost more than $15) putting in the time to produce quality content, and be EXCITED! Having a blog is a big deal. It can change your life. If you found this post useful, be sure to reach out to me and share on social media!